Richard Glass was born in Plymouth. He studied Fine Art at Southampton Institute where he experimented with projects involving light and transparency, using salt, fat and sugars for casting. 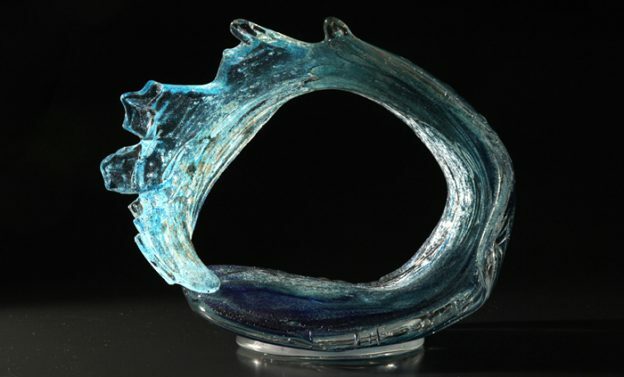 This experimental work led him to an interest in glass (as well as having an apt last name) Richard relished the idea of learning a skill, feeling that craftsmanship validated his work as an artist. He was awarded an HND in Ceramics and Glass and then graduated with an honours degree in Applied Art from Plymouth College of Art and Design. Richard gained further experience working at Dartington Crystal as a production glassmaker, leaving Dartington Crystal to study glass design and gaining a Masters Degree from Sunderland University in 2003. To view more of Richard’s work, please click on his tag in the right hand column.